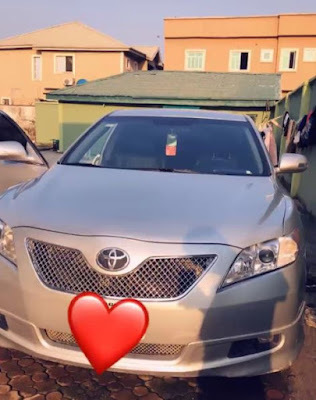 The beautiful actress and movie producer took to her Instagram page to announce the ownership of a new Toyota Camry car. The actress who is celebrating her birthday took to her Instagram page to announce her birthday gift, even though leaving out the source. "Happy birthday to me. It's a birthday gift," she captioned the photo of the car. It has become a trend for female actors to announce ostentatious gifts from anonymous sources. Victoria Kolawole spent much of her time last year touring top destinations across the world.